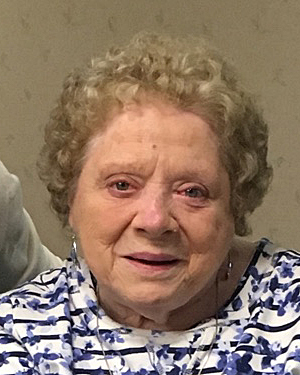 MECHANICVILLE - Mildred R. “Millie” D’Aloia, 87, passed away peacefully on Sunday, Jan 14th at Saratoga Hospital. Born in Round Lake, November 15, 1930, daughter of the late Catherine and Harold O’Brien, Mildred was a homemaker and loving Mother. She enjoyed bingo, cooking and camping in the Adirondacks with her husband and best friends Bob and Winnie Baldwin. Along with her husband Michael, she enjoyed spending many winters in Florida. 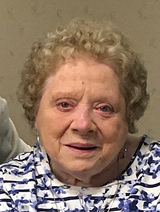 Survivors include her husband of more than 68 years Michael A. D’Aloia, her son Michael Wayne D’Aloia and daughters Donna D’Aloia and Barbara Quinlivan. Mildred was also the devoted Grandmother of Andrea Keays, Donald Quinlivan, Melissa Shutter and Kevin Walsh and seven great grandchildren. The family wishes to extend gratitude to the Nurses of the pulmonary unit of Saratoga Hospital for the care and love shown to Mildred. A Funeral Service will be held on Thursday at 2 PM at the DeVito-Salvadore Funeral Home, 39 So. Main St., Mechanicville, with burial to follow in St. Paul’s Cemetery. Calling hours at the Funeral Home on Thursday from Noon to 2 PM. 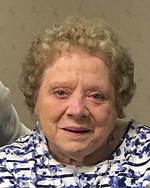 In lieu of flowers, remembrances may be made to a charity of one’s choice in memory of Mildred “Millie” D’Aloia. To send flowers to the family of Mildred R. D'Aloia (O'Brien), please visit our Heartfelt Sympathies Store.